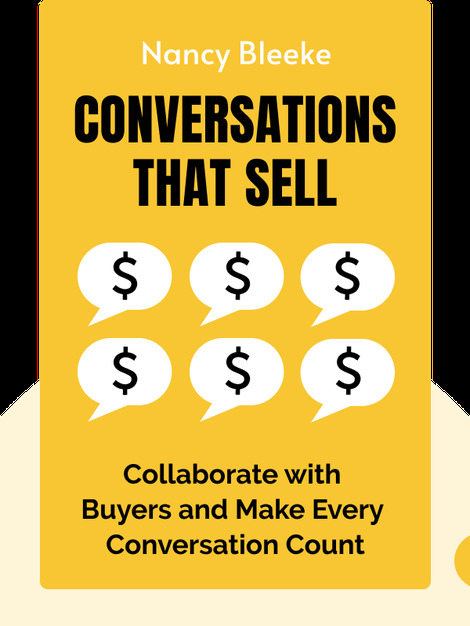 Conversations That Sell (2013) reveals the changing nature of sales as its focus shifts away from waxing lyrical about a product to demonstrating a commitment to the needs of the buyer. From preparation to problem solving, these blinks guide you to a winning sales conversation and a strong sales career. 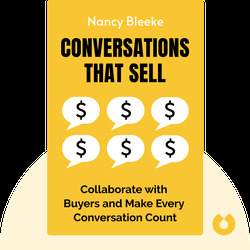 Nancy Bleeke is the founder and president of the training and consulting company Sales Pro Insider. She is the developer of the Genuine training courses.